Born in Japan and currently based in Berlin, Reijiro Wada is a sculptor working with landscape in eccentric and conceptual methods. In "ISOLA" (2010 -) for instance, water surfaces are varied through floating glass module structures; while for "VIA" (2004), he altered the perception of a natural waterfall in the Alps, bending the flow through a horizontal, intersecting mirror. Making kinetic sculptures often with mundane objects, artist Ariel Schlesinger maneuvers engineering mechanisms, and manifests a playful and whimsical approach to express his witty sense of humour. 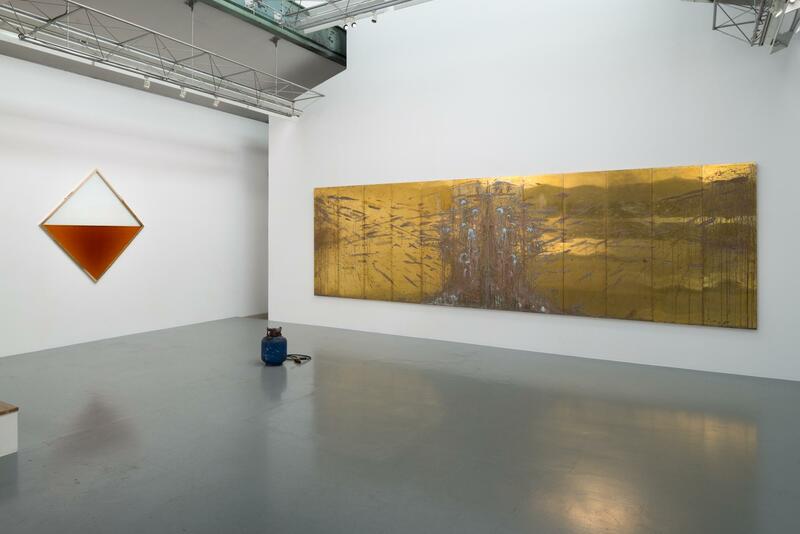 In the gallery space, visitors will see Reijiro Wada 's VANITAS (2015), - a 6-meter brass sculpture. For this work, the artist placed two panels at an acute angle, and threw various fruits into the gap between the brass plates. Over time, the fruit’s acidity eroded the surface of the brass, and a patina was formed from the trace of its movement. The title “Vanitas” directly references the historical category of symbolic works associated with still life paintings of the 16th and 17th centuries, created by Flemish and Dutch painters. In this tradition, skulls and rotten fruit are metaphoric portrayals of corporeal death, evoking vanity and the transient nature of life. The work evolved from Wada’s earlier Still Life series (2014 - ongoing) and forms an abstract composition and somewhat apocalyptic worldview, as the organic trajectory of the work signals an inevitable absence and decay. 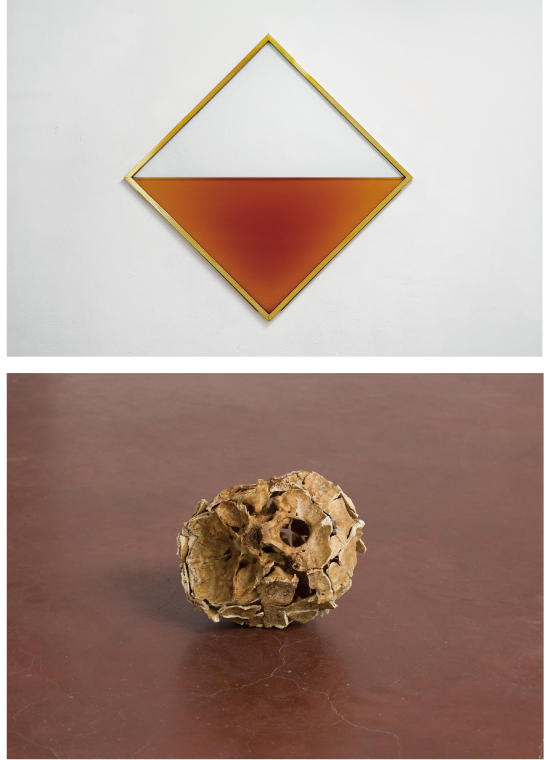 This view is echoed in MITTAG (2015), a wall-mounted brass frame with brandy poured into a glass container. 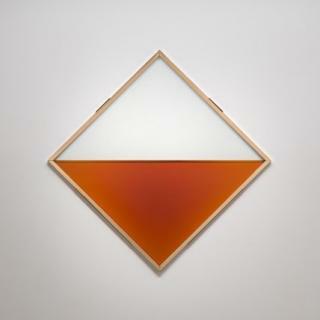 Here, the amber liquid creates an equilibrium in infinite horizon, capturing a moment in mid-day where the sun casts no shadow - leading to a reduction of the sculpture to a minimalist abstraction in its purest form. 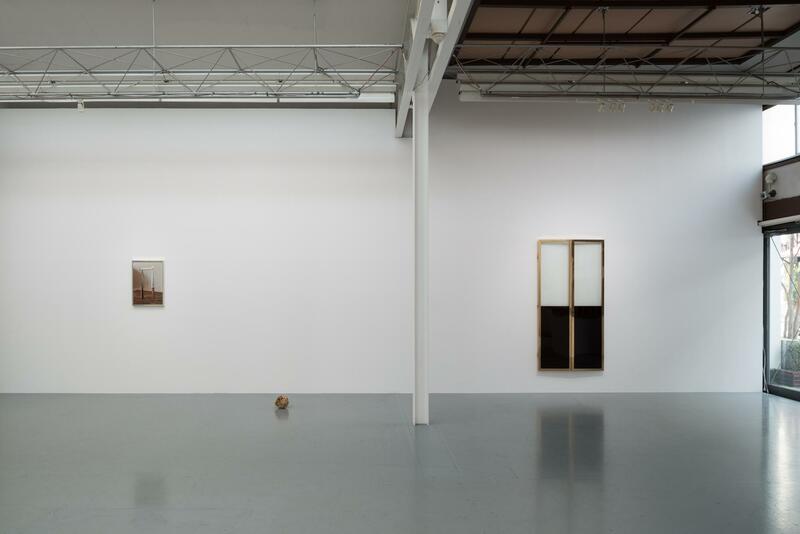 Israeli-born conceptual artist Ariel Schlesinger deploys industrial materials to initiate a crisis situation in an otherwise secure exhibition space. 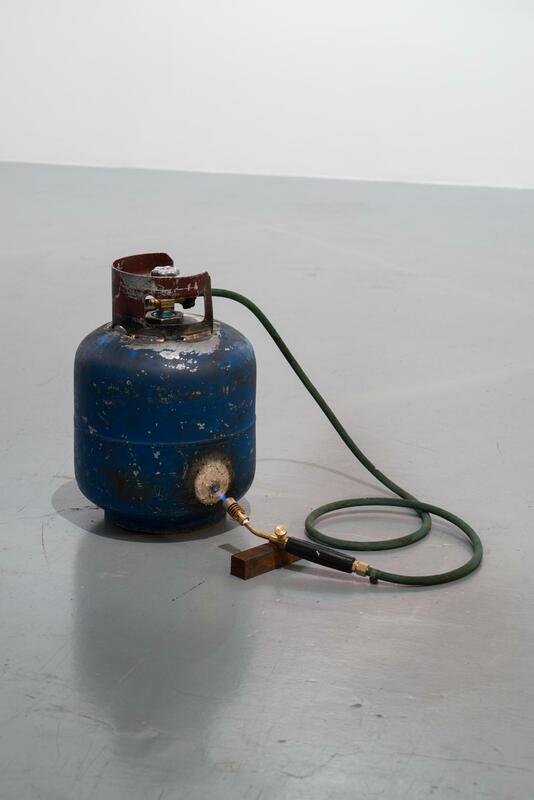 In his new work commissioned for the exhibition - Gas Loop (2016) - a flame is ignited from the emitted gas of a cylinder tank, which continues to burn its own body. The sight immediately arouses fear from the audience anticipating its sudden explosion; at the same time, it humorously suggests the threat of destruction through a gesture of attacking a stable system. For Inside Out Skull (2014), the artist crushed a human skull and glued the pieces inside out - physically reversing the portrayal of death. The symbols of death and change reappear in his photo series Three Commas Club (2016), where flames represent a lapse of time and a thin stream of smoke suggests the vanity of life. The artists’ responses within the exhibition are joined by the rhetoric of a decadent affirmation of the existing world, while embracing visual language, references to historical symbols and allegories. Subtle connotations of transience and eternity are juxtaposed here with the precarious conditions of the contemporary era, where revisiting a time of depression and anxiety leads to a renewed sense of the artistic sublime. Wada holds a PhD in Fine Arts from the Graduate School of Art, Tokyo University of the Arts. 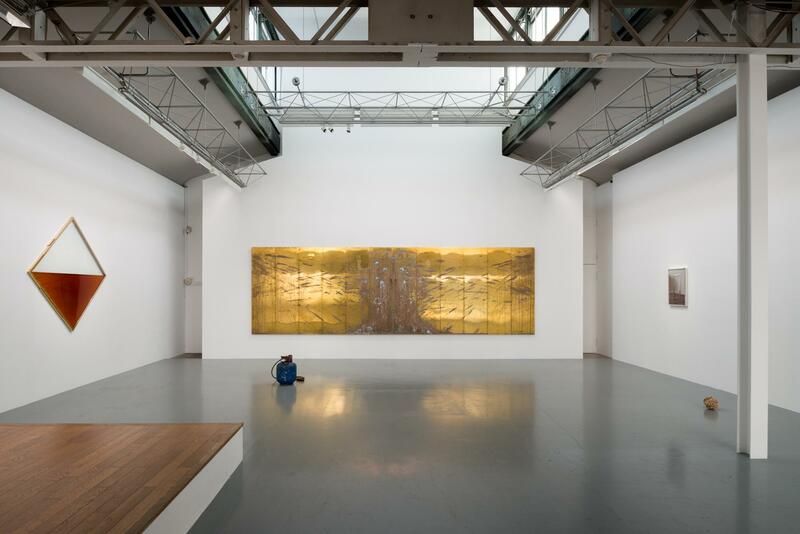 His major exhibitions include: "Vanitas" at Georg Colbe Museum, Berlin, 2014; Aichi Triennale, Japan, 2013; "Berlin Status (2)" at Künstlerhaus Bethanien, Berlin, 2013; "Kunst Kamer No. 17: Reijiro Wada" at The Georg Colbe Museum, Berlin, 2012; "How Newness Comes Into the World? 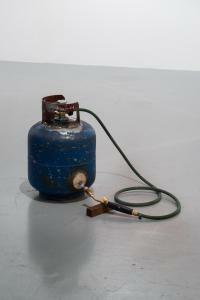 Nine International Sculptors in Berlin" at Haus am Waldsee, Berlin, 2012; and others. Wada lives and works in Berlin. Wada’s solo exhibition will be held at CAPSULE (Setagaya ku 2-7-12 B1F) from January 21 (Sat) to February 19 (Sun) in 2017. Schlesinger studied at School of Visual Arts, Columbia University, New York; and Bezalel Academy of Arts and Design, Jerusalem. 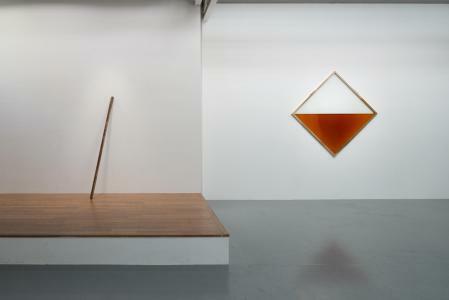 His major solo exhibitions include: “Ariel Schlesinger” at Kunsthaus Baselland, Basel, 2014; and “Phenomena of Resonance” at Musée du château des ducs de Wurtemberg, Montbéliard, France; amongst others. He has participated in the Aichi Triennale, Japan, 2013; and in Art Unlimited, Art Basel, 2016. Schlesinger currently lives and works in Berlin and Mexico City.